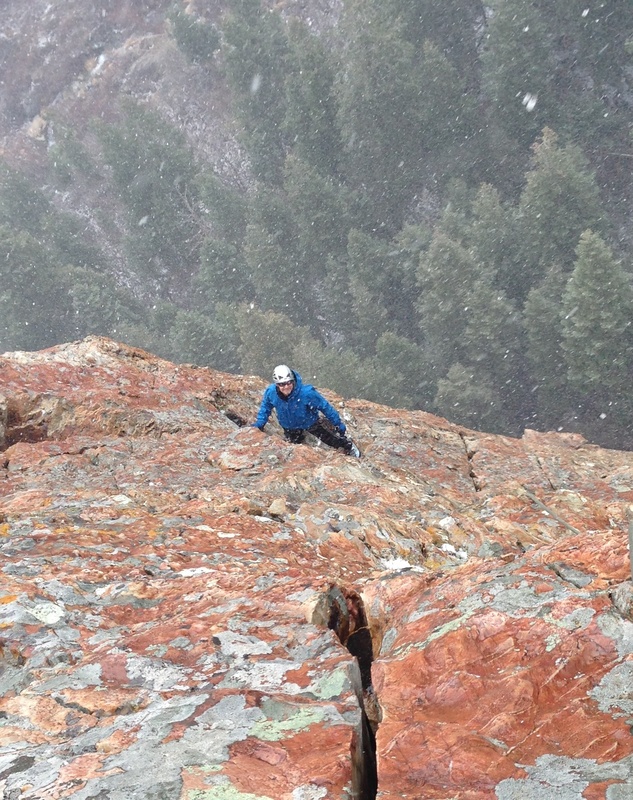 That's me, climbing in a snowstorm, on some wet, slippery rock. This is the summit of Mt. Olympus, overlooking Salt Lake City (looking west). I got there by climbing Goerts Ridge.